For the Appellants :- Shri B.R. Mahajan, Advocate. JUDGMENT M.M. Kumar, J. - This is plaintiffs appeal filed under Section 100 of the Code of Civil Procedure, 1908 (for brevity the Code) challenging concurrent findings of facts recorded by both the Courts below holding that plaintiff- appellants have failed to prove that the portion of the compound was in joint ownership of Khazan Singh and defendant respondent Budha Singh. It has also been held that plaintiff-appellants failed to examine their vendor Khazan Singh and which would lead to an adverse inference against them. It has been categorically found that defendant-respondent Budha Singh alongwith his brother is exclusive owner of the compound shown as ABCD in red colour in the site plan Ex. P.1 and plaintiff-appellants have no right, title or interest in this petition. Accordingly, they are not entitled to interfere in this portion of the compound. 2. Shri B.R. 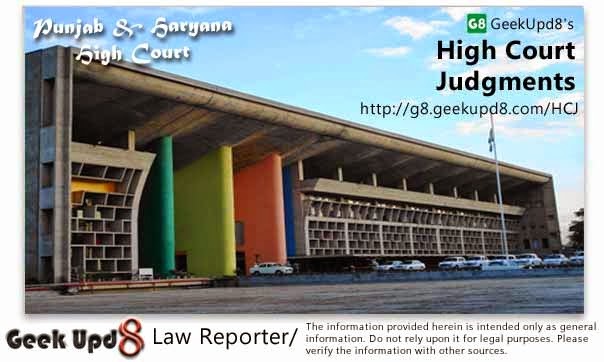 Mahajan, learned counsel for the plaintiff-appellants has argued that registered sale deeds Ex. P.1 and P.2 dated 19.7.1990 were signed by defendant-respondent Budha Singh as an attesting witness and once he has appended his signature he is bound by its contents also. According to the recitals in the sale deed Ex. P.1 and P.2 even the stair case is part of the sale transaction and is shown to be sold to the plaintiff-appellant. Therefore, the learned counsel submitted that the stair case would also be deemed to be transferred by the sale deeds Ex. P.1 and P.2. "Plaintiffs Ramesh Chander and Sheh Lata are simply relying upon the recital in the sale deeds Ex. P.1 and Ex. P.2 wherein it has been written that the shop alongwith the stair case is sold to the plaintiffs. It may be mentioned here that in Ex. P.1, Budha Singh was neither party nor attesting witness. However, in Ex. P.2, Budha Singh was the marginal witness, but he was not aware of the fact that Khazan Singh had also included stair case, which is situated in the property of Budha Singh, in the sale deed vide which Khazan Singh sold the shop in question to the plaintiffs Ramesh Chander and Sneh Lata and he simply attested this sale deed. By merely attesting sale deed, defendant Budha Singh cannot be held bound by the contents of the sale deed. It has been held by the Division Bench of our own Hon'ble High Court in case Ram Gopal v. L. Mohan Lal and others, AIR 1960 Pb. 226 that mere attestation of a deed does not by itself impute to the attesting witness any knowledge of its contents. So as to make out a case of estoppel against said attesting witness. It has been held by the Privy Council in Pandurangkrishanji v. M. Thukaram and others, AIR 1922 PC 20 that attestattion does not work estoppel under section 115 of the Evidence Act. Attestation of a deed by itself estops a man from denying nothing whatsoever excepting that he has witnessed the execution of the deed. It conveys, neither directly nor by implication any knowledge of the contents of the documents and it ought not to be put forward alone for the purpose of establishing that a man consented to the transaction which the document effects. The same view has been taken by our own Hon'ble High Court in case Sri-raj Ud-Din v. Mr. Rahiman and others, AIR 1938 Lah. 978 that non parties to transaction are not bound by it even if they are relatives of transferor and have not protected against it or attested the deed as a marginal witness. So it does not work as estoppel against them. The attesting witness signing the document, where there is no proof of his knowledge of their contents nor is he consenting party to transactions embodied therein. Onus lies on the persons who rely on documents to prove such knowledge and consent. Here, in this case, plaintiffs/appellants Ramesh Chander and Sneh Lata failed to prove on record that Budha Singh defendant had knowledge of the contents of the sale deed Ex. P.2, which he has simply attested as marginal witness without any such specific proof or knowledge of the contents of this sale deed Ex. P.2. Budha Singh who was only marginal attesting witness of this sale deed Ex. P.2 cannot be held bound by the contents of this sale deed." 5. In view of the principles laid down by the Supreme Court as well as by the Privy Council the argument raised by Mr. Mahajan is devoid of merit and is thus liable to be rejected. The view taken by the Courts below is correct on facts and law. Therefore, the instant appeal is liable to be dismissed. For the reasons recorded above, this appeal fails and same is dismissed.